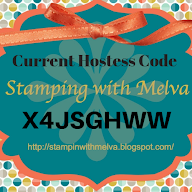 Stamp with Melva: Sale-a-Bration is almost over! Don't miss out! Today I wanted to share with you some of my favourite products from the Sale-a-Bration brochures. Here are some samples made from my favourites. You don't want to miss your chance to get your order in and and you can have your choice of free Sale-a-Bration items. The deadline for orders is 11:50 pm MT on Saturday night! You can either place your order through my Online Store or email me and I'll place it for you. 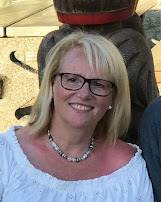 Place your order by 11:50pm MT on March 31st and you'll be entered into my free drawer for the Mystery Hostess. Just place an online order and use the Host Code C9TAEJEF nd your name will be in the draw. It's guaranteed to be over $20 and climbing. If the rewards reach $100 I will split it and 2 people will win. Last day to get in the draw is March 31st!